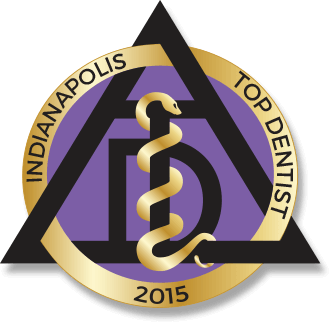 Relax for a Change with Your Dentist in Indianapolis! Have you ever wondered how dental phobia begins? Sometimes it’s an overactive gag reflex. Other times, it can be a response to a past negative dental experience. Maybe claustrophobia keeps an individual from getting the dental care they need. Whatever the case, your sedation dentist in Indianapolis can help anxious patients to receive their dental care comfortably. Through sedation dentistry, specifically nitrous oxide, dental visits can be a positive experience. There are more people that have dental phobia than many may think. Yes, dental phobia goes far beyond sweaty palms or simple butterflies in the stomach when someone is faced with dental work. Symptoms are really intense, to the point where people will avoid the dentist until they’re experiencing excruciating pain. Your dentist recommends that anyone experiencing dental phobia should come to their office for a sedation dentistry consultation. During this appointment, you can discuss your deepest fears so that your dental practice can ultimately help you conquer your anxiety. Beyond simple pain shots to numb areas for fillings or extractions, sedation dentistry looks at the fear behind the dental experience and offers a pharmaceutical solution. Most dentists offer complimentary nitrous oxide, or laughing gas. This traditional method of relaxing patients has been used for decades in the health field, especially in dentistry. People called it laughing gas because it makes people giddy, giggly and euphoric. So, fear is the last thing on their minds. One of the great things about laughing gas is that it’s really lightweight and easy to recover from. A sedation dentistry consultation always includes a review of the patient’s medical and medication history. The dentist carefully describes how the sedation works and fully answers questions the individual has. When it’s time to receive a dental procedure or treatment, the nitrous oxide gas is delivered through a comfortably fitting nasal mask. The individual simply breathes in the gas, which is mixed with 100 percent oxygen, and quickly experiences a sense of relaxation. Laughing gas patients are fully awake and able to respond to commands. Most notably, not only are they not scared, they are really happy. Some people feel some tingling or heaviness in their extremities, or they may feel a bit light-headed, too. This is all normal effects of the nitrous oxide. The dentist and assistant monitor the patient’s vital signs and level of consciousness and can adjust the nitrous oxide up or down as needed. After completion of treatments, laughing gas wears off quickly, and individuals drive themselves home. If you’re ready to receive dental treatments or procedures that your smile truly needs, you should visit your local dentist for a sedation dentistry consultation. If you need to find a practice that you can relax at, look no further than Indianapolis Family Dentistry! You can rest assured that you’ll not only find pain relief, but your dentist can perform all the dental work your smile desperately needs. Feel free to call our friendly office team to schedule an appointment with your expert dentists. Comments Off on Relax for a Change with Your Dentist in Indianapolis!